Provide comfort for the family of William Rees with a meaningful gesture of sympathy. William M. “Rocky” Rees, 69, of Shippensburg, passed away Friday, December 21, 2018 at home. He was born June 9, 1949 in Newark, NJ. Rocky was a son of the late Edward and Marion Price Rees. He was a member of the Our Lady of the Visitation Catholic Church, Shippensburg. A native of Morristown, NJ, Rees was a 1967 graduate of the former Bayley-Ellard High School, earned his undergraduate degree from West Chester University in 1971 and his master’s degree in 1979. He is a member of the West Chester Killinger Foundation Football Hall of Fame, and still holds the Golden Rams’ single-game record for rushing touchdowns (five). He began his coaching career at Newark (NJ) High School, posting a 28-5-1 record and guiding the school to one state championship and two Blue Hen A Championships. From 1985-89, Rees coached at Susquehanna University, where he was a two-time MAC Coach of the Year with the Crusaders and is also a member of the Susquehanna Athletic Hall of Fame, Shippensburg University Hall of Fame and the South Central PA Hall of Fame. From 1990-2010, Rees was the head football coach at Shippensburg University. Rees is the all-time coaching wins leader in Shippensburg University football history, posting a record of 123-110-1. Overall, his career record as a collegiate head coach is 159-125-2. He coached Shippensburg for 21 seasons and was an outstanding ambassador to the university during his reign. Overall, Rees ranks eighth in Pennsylvania State Athletic Conference (PSAC) history for the most wins by a coach while at a PSAC member school. He guided the Red Raiders to three NCAA Tournament appearances in his career, earning four PSAC Coach of the Year awards and three Regional Coach of the Year awards. From 2001-2004, the Red Raiders set a then-school record for the highest win total for any four-year span in history with a record of 32-13. The culmination of that success was in 2004, when Rees led Shippensburg to a 10-2 record and a share of the PSAC Western Division championship for the first time since 1988. In 2009, Rees guided the Red Raiders to the program’s first outright conference championship since 1981 with a victory in the “State Game” over California (PA). The Red Raiders scored at least 21 in all 12 games of the season, a feat that had never been achieved in 109 seasons of organized football at Shippensburg University. Rees was a well-respected member of the American Football Coaches Association (AFCA), including a term as the organization’s president from 1999 to 2000. 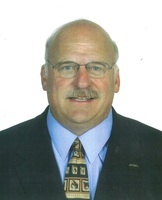 He was elected to the AFCA Board of Trustees in 1992 and served as the chairman of the AFCA Meeting Rooms Committee from 1986 to 2002 and Chair of the Public Relations Committee from 2000 to 2006. Additionally, he was a long-standing member of the Ethics Committee. Following his final SU home game on Oct. 30, 2010, a brief ceremony was held on the field at Seth Grove Stadium in which the football office was formally named the Rocky Rees Football Suite. Rees was presented with a plaque and addressed the crowd. He is survived by one daughter, Meghan Diane Rees of Nashville, TN; his companion, Diane Winter of Shippensburg; three brothers, Peter Rees of Bud lake, NJ, Patrick Rees of Havertown, PA and Matthew Rees of Brick, NJ; and numerous nieces and nephews. In addition to his parents he was preceded in death by his wife, Patricia Jeanne Gentle Rees who passed away August 14, 1998. A celebration of life service will be held Saturday, December 29, 2018 in the Luhr’s Center on the campus of Shippensburg University at 1 p.m. Officiating will be Father Dwight Schlaline. Burial will be privately held in the Spring Hill Cemetery. There will be no viewing or visitation prior to the service. A reception will follow the services. In lieu of flowers memorial contributions may be made to the Rocky and Patty Rees Football Scholarship Fund, c/o Shippensburg University Foundation, 1871 Old Main Dr., Shippensburg, PA 17257. Consider providing a gift of comfort for the family of William Rees by sending flowers. I have been carrying Coach Rees in my heart since the day I met him in August 1972. He was a "rookie" assistant coach at Newark High School & I was in incoming freshman. By our junior year, he had worked his way to Head Coach, which he richly deserved. He transformed our team into "men," reversed our team's downward spiral & returned our high school to greatness by leading us to multiple State Championship games. As a High School senior, he pulled me out of class to inform me that I was selected to play in the prestigious Blue-Gold game, which is one of my fondest memories of him. He worked endlessly to help me continue my football career by calling all of his college coaching contacts. Even though I said my final good bye to him in 1976 (or so I thought), I have been carrying Coach Rees in my heart every day. But, I would come to find that he was even more amazing than I thought. Fast forward to 2010, over 30 years since we last spoke. Upon learning of his planned retirement as Head Coach of his beloved Shippensburg University, I decided to make an unannounced visit to football practice on a crisp October day. I stood on the sidelines for hours watching Coach Rees work his magic on yet another team- shaping them into men, preparing them for the upcoming game, but more importantly, setting them on a path for life, preparing them for any challenge that life might bring, instilling humility when they succeed, and resilience to get up & back in the fight when they get knocked down. What I will always remember is at the conclusion of that practice, he walked right up to me & continued our conversation from 1976, over 30 years since we last spoke. A great man!! A great Coach!! You will be missed!! Rest in Peace, Coach!! It is sad to learn about the loss of Rocky Rees. His legacy as an athlete, record breaking football coach, teacher, mentor and motivator speak volumes. Rocky was an incredible human being that made a tremendous impact on the lives of so many. I will always remember the contagious positivity that Coach Rees brought to every single day and how much he truly cared about his players. RIP Rocky. May Rocky rest in peace. He was truly one of the "good guys" in the coaching profession. He had a great career and made a difference in people's lives. He will be missed by many.